HEYROCCO‘s songs cut to the heart of teenage thrills: young love, long summer days, and the little details that trigger all that emotion. 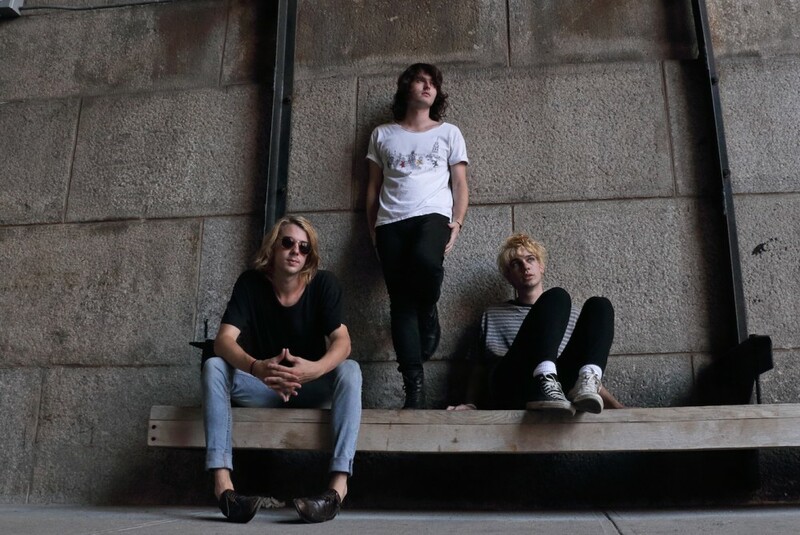 Their new single Mom Jeans encapsulates all of that – and it’s a perfect example of HEYROCCO’s brilliant balance of dark rock, short ‘n’ sweet pop tunes and young, breathless excitement. It’s the follow-up to previous single Virgin – which was Kerrang! Track of the Week. Mom Jeans has won them radio recognition, too – they will be recording an Xfm X-posure session for tastemaker John Kennedy at the end of October as they complete their debut UK tour. HEYROCCO are thrilling fans around the country right now, with sold out shows and a huge audience at London’s KOKO kicking off their first UK jaunt. Two of the UK’s most renowned spotters of new talent, Xfm’s John Kennedy and Clash Magazine, have recognised HEYROCCO’s enormous potential and knack for writing huge, exciting rock songs. 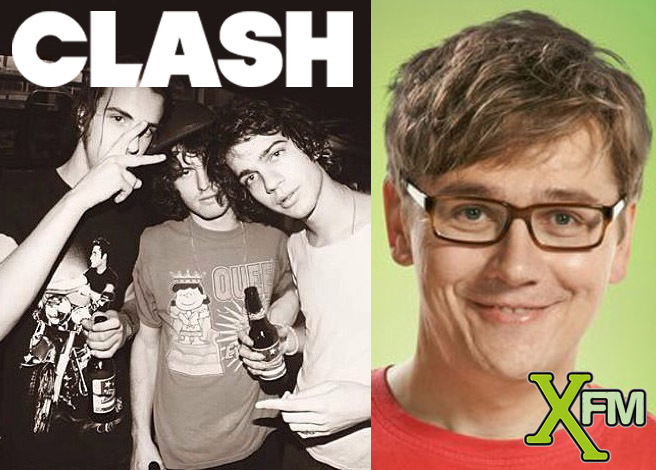 John has made their new single, Virgin, the Xfm X-posure Big One, and Clash has premiered the single’s video. The Xfm honour follows John’s debut play of the track, and the Clash article spots some sharp, positive comparisons with Radiohead’s debut release. It’s just another sign that HEYROCCO are not merely another band – but ones to watch closely. Manchester indie/rock five-piece Daystar is set to release their latest single ‘Sleeper’ on 11th June. Their rise over recent months has been impressive to say the least. With a sound drawing expertly from contemporary influences like The Smiths and The Stone Roses and with song craft reminiscent of legendary groups like R.E.M. and The Beach Boys, the band have rapidly developed a reputation as one of the UK’s most exciting up-and-coming indie acts while supporting the likes of The Rifles and The Twang on tour. Captured by legendary Liverpool producer Ronnie Stone (the man behind Mansun’s hit album ‘Attack of The Grey Lantern’), ‘Sleeper’ is a beautifully hypnotic and mellow song boasting chiming, shimmering guitars with front man Simon Monaghan’s sweet melodies soaring above. It’s an indie lullaby of real quality and, lyrically, a poignant rallying call to the lost souls who drift through life without ever fulfilling their potential. ‘Sleeper’ will be available on iTunes a week ahead of the release of the eagerly anticipated album ‘Daystar’ on the 18th June. There’s evidence aplenty of the band’s respect and admiration for the work of Syd Barrett from Pink Floyd and perhaps more than a passing nod to the classic harmonies of Brit-pop heroes such as Mansun and The Charlatans. Lead singer Simon has a voice that exudes distinction and class, delivered amidst a sound that, while unashamedly steeped in familiarity, resonates with a fresh urgency and vitality that has won the band many high profile fans, including Radiohead’s Ed O’Brien, Clint Boon (XFM/Inspiral Carpets), BBC Radio 2’s Janice Long (‘They Said I’d like this, they were right’), presenter Terry Christian and BBC DJ Gary Crowley (‘I’m absolutely loving this, I can certainly hear the Syd Barrett and Brian Wilson influences’). ‘Don’t Need This’, the latest Daystar single, is set for release on February 27th. Captured by legendary Liverpool producer Ronnie Stone, the raking, shimmering guitars, cascading bass-lines, laidback somersaulting drums and the sweet, soaring melodies of front man Simon Monaghan demonstrate unflinching feeling and belief. In his own words; “This song is about the pretension and conformity of the murky underbelly of the Manchester club scene and the social whores who frequent it”. There’s evidence aplenty of the band’s respect and admiration for the work of Syd Barrett from Pink Floyd and perhaps more than a passing nod to the classic harmonies of Brit-pop heroes Mansun and The Charlatans. Daystar’s rise over recent months has been impressive to say the least. With a sound drawing expertly from contemporary influences whilst effortlessly tapping into the feel-good aspect of sixties mod culture, the band have rapidly developed a reputation as one of the UK’s most exciting up-and-coming indie acts. Daystar songs charm through the noble art of storytelling whilst creating eclectic soundscapes that conjure fond recollections of classic tunes by The Smiths, The Stone Roses and The La’s, along with song craft reminiscent of legendary groups like R.E.M. This has earned the band many high profile fans, including Radiohead’s Ed O’Brien , Radio 2’s Janice Long (‘They said I’d like this. They were right.’), Terry Christian and BBC London/6 Music’s Gary Crowley (‘I’m absolutely loving this, I can certainly hear the Syd Barrett and Brian Wilson influences’). Picture this: Four twenty-something guys from various parts of the UK meet at a Ryan Adams gig in Manchester and decide to start a band. City Reign were born (did the Ryan Adams fans among you notice the reference to his track ‘City Rain, City Streets’ there)? Next, BBC 6Music’s Steve Lamacq picks up on and plays ‘Making Plans’, noticing the Idlewild influences. He then invites the band on air for an interview and hails them as a band to look out for, along with The Heartbreaks and Driver Drive Faster. Not a bad start for a DIY single. Another previous single ‘Out In The Cold’ is included on the ‘Numbers For Street Names’ EP, which received a raving recommendation from The Independent (see quote below and the video on www.cityreign.net). ‘Numbers For Street Names’ will be released on the bands own label Car Boot Records on CD and digital download. It will be available to pre-order via the band’s brand new website www.cityreign.net from 1st October. Murky guitar atmospherics, emote an almighty passion and power. This independence of mind can be heard in their driving guitar rock sound, unphased by suggestions that the guitar band is destined for the musical scrap heap. The Manchester-based band’s third single manages to hit all the right notes. The Narrows’ second single, Able Danger has already garnered rave reviews from the likes of Tom Robinson, who had the guys in for an interview on his BBC 6 Music Introducing show. This was on the back of their T in The Park performance in August (25:08:11) where they completely wowed the audience, as you can see in the video footage below, which outstripped the views of White Lies and Everything Everything‘s performances. Radio 1’s Huw Stephens and Zane Lowe both tweeted about The Narrows: Zane saying he liked the video to their last single, ‘Initials MM’. Let’s hope he tweets the same about their new video too!